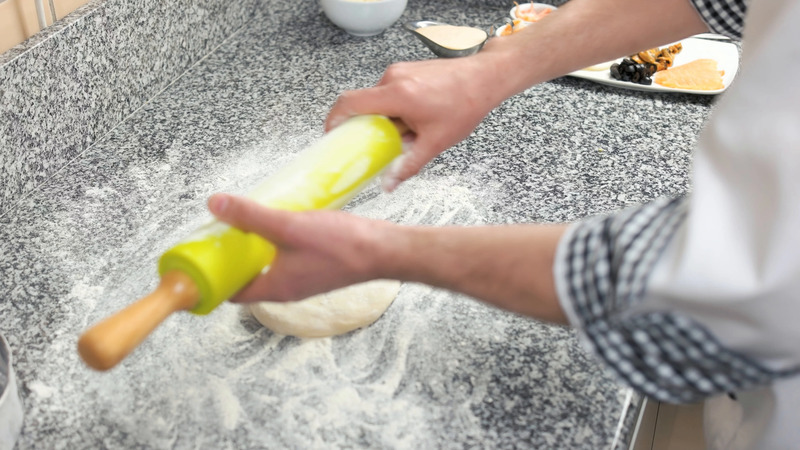 Hands Of Chef Rolling Dough. Description: Hands of chef rolling dough. Food preparation, bakery.